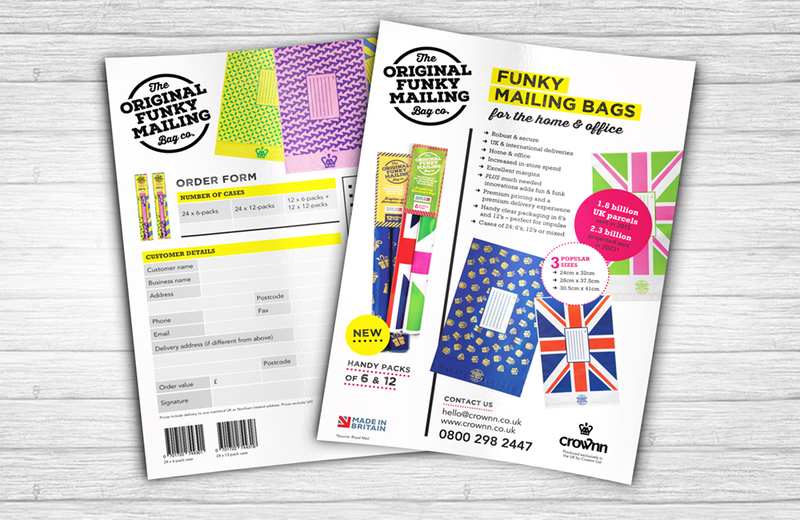 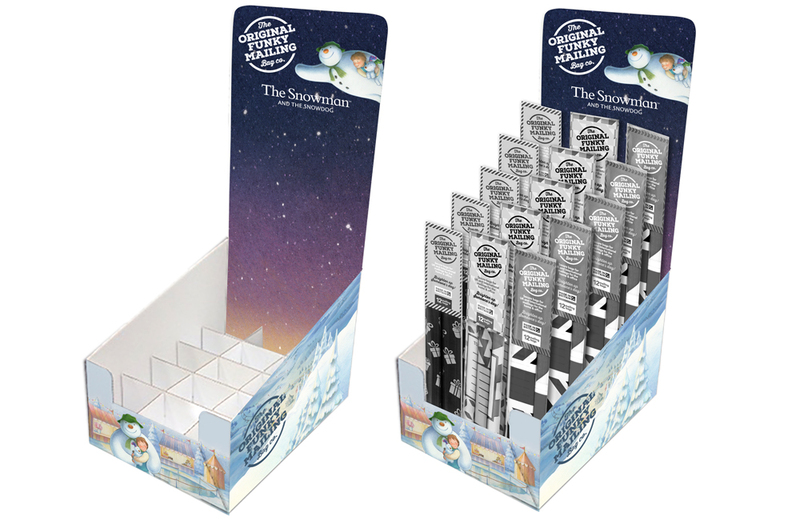 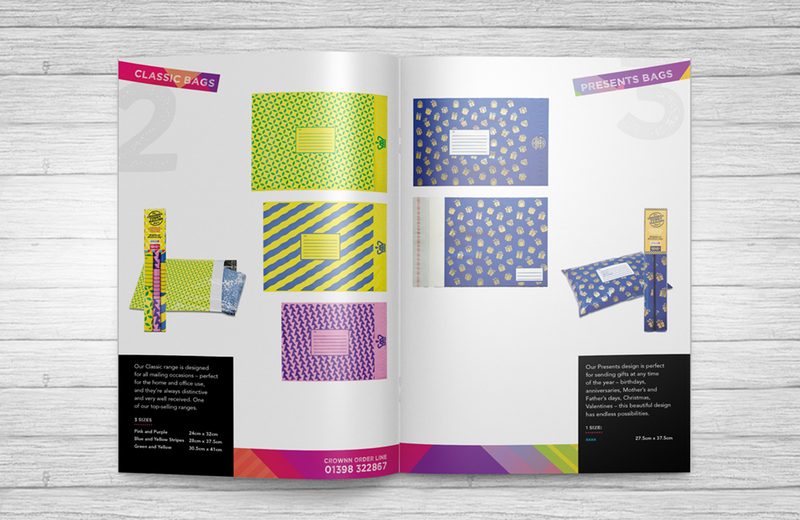 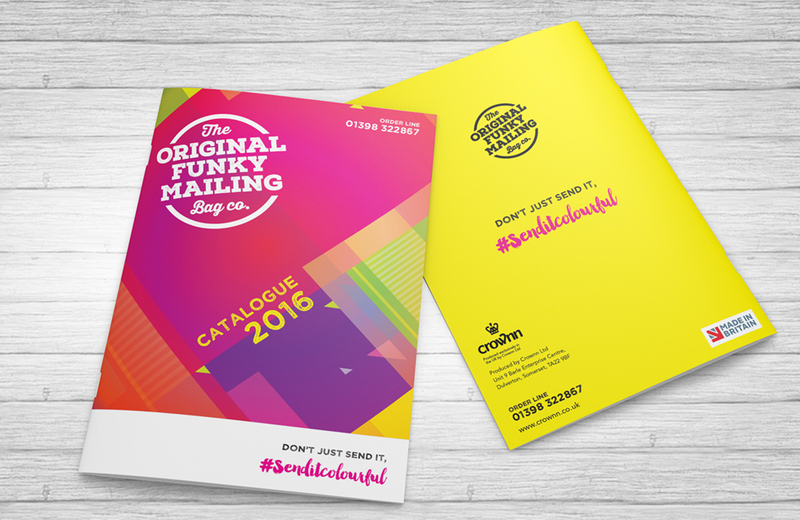 I designed an order form, brochure, FSDU standing unit and counter CDU unit for Swifty Studios’ client Original Funky Mailing Co., rolling out the vibrant branding to each. 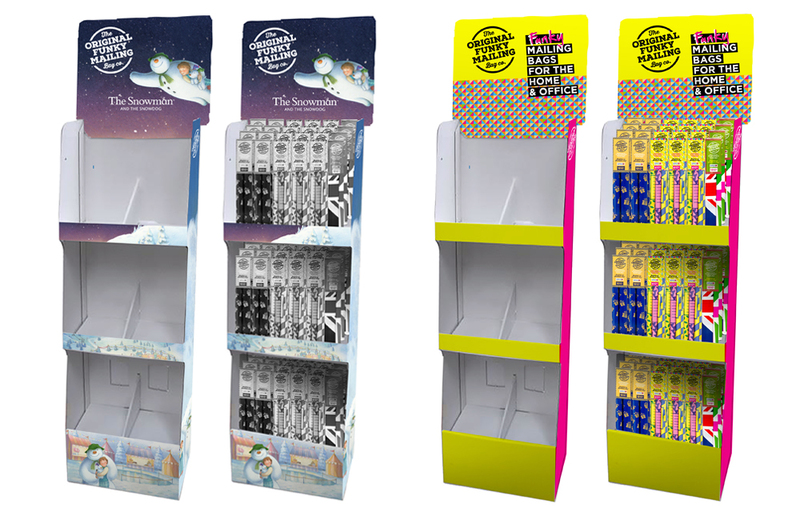 Here are the displays’ mock-up visuals before creating the flat artwork, the main challenge was matching the pattern on the flat net artwork due to several overlapping pieces. 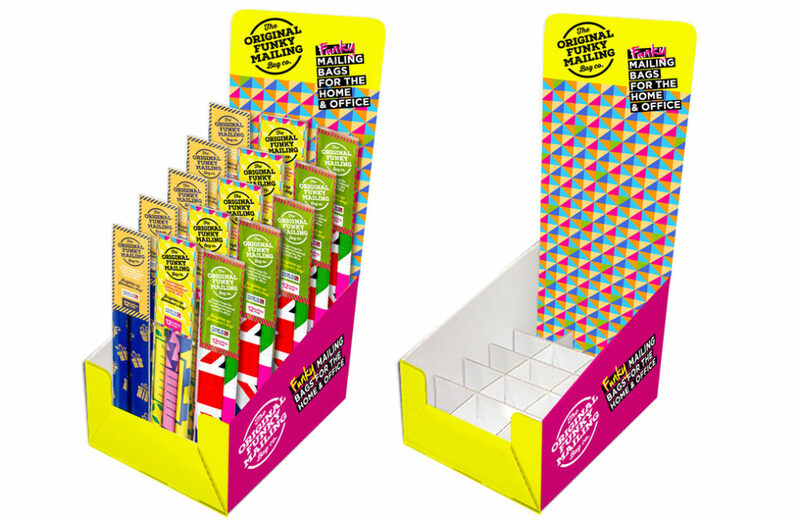 They needed to be eye-catching yet not overwhelming for display in a Staples store to show off the unique mailing envelopes.